Woods Hole bed and breakfast travel guide for romantic, historic and adventure b&b's. 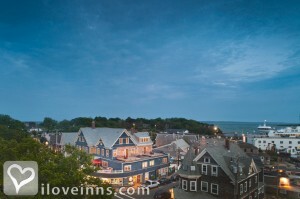 Browse through the iLoveInns.com database of Woods Hole, Massachusetts bed and breakfasts and country inns to find detailed listings that include room rates, special deals and area activities. You can click on the 'check rates and availability' button to contact the innkeeper. Woods Hole, Massachusetts offers several beaches including Stoney Beach, the most popular. Well known Woods Hole Oceanographic Institute is here as is the Aquarium of the National Marine Fisheries and Tarpaulin Cove. Cycling along the Shining Sea Bike Path is a must do. The islands off the peninsula areinteresting spots too, such as the Elizabeth Islands. Nobska Point is where a picturesque lighthouse is located, always a great subject for avid photographers. To learn about the latest happenings, get information from your Woods Hole bed and breakfast inn. Among the best restaurants in the area are Phusion Grille and Captain Kidd. By Woods Hole Inn.